Defying gravity? Definitely. Wicked? Certainly not. 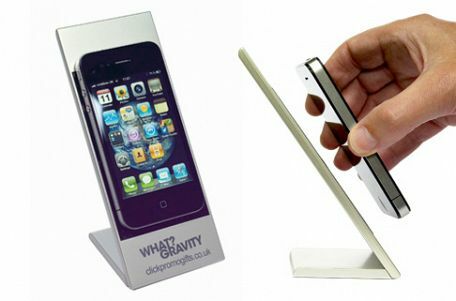 The What?Gravity is the new innovative phone holder that is an essential desk accessory for any office. With it's super slim body and ultra strong grip pad, the What?Gravity is suitable for practically any model of phone, and even tablet computers. The grip pad is wipeable and will maintain its hold for a long time, needing only to be run under cold water to renew its stickyness. A great gift for promotional giveaways or for branding around the office, the What?Gravity will place your brand firmly on your clients' desks and continue to amaze long after they first receive it.